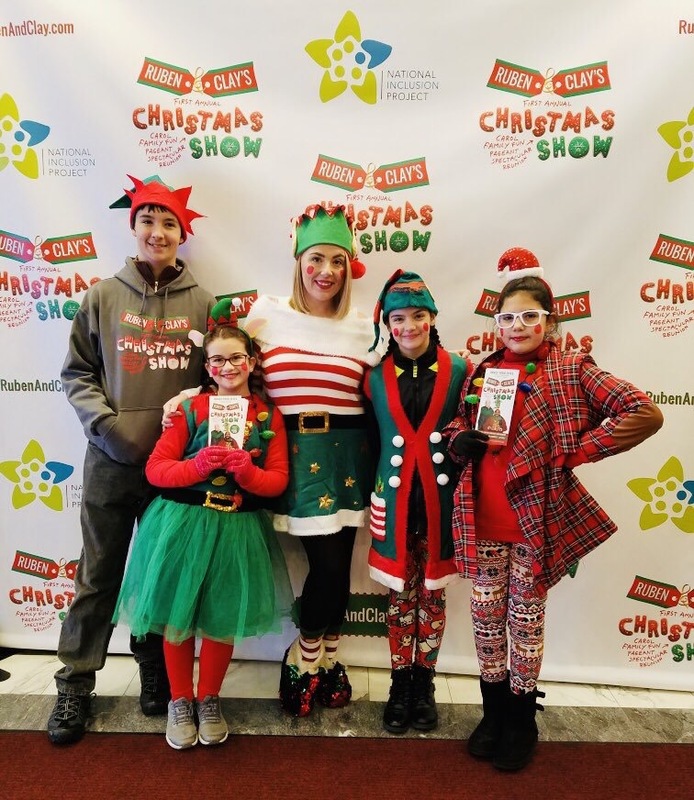 Clay Aiken – Full Of Excitement! Happy Sunday!! 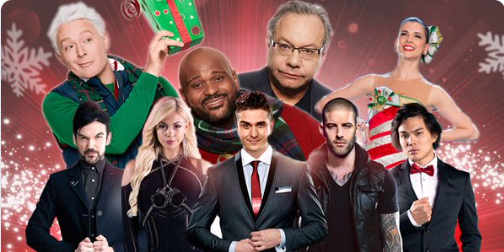 I hope you are all ready for a wonderful Christmas Sunday! Today, there has been some fun, but short mentions of Clay Aiken. It’s always fun to see what is going on! 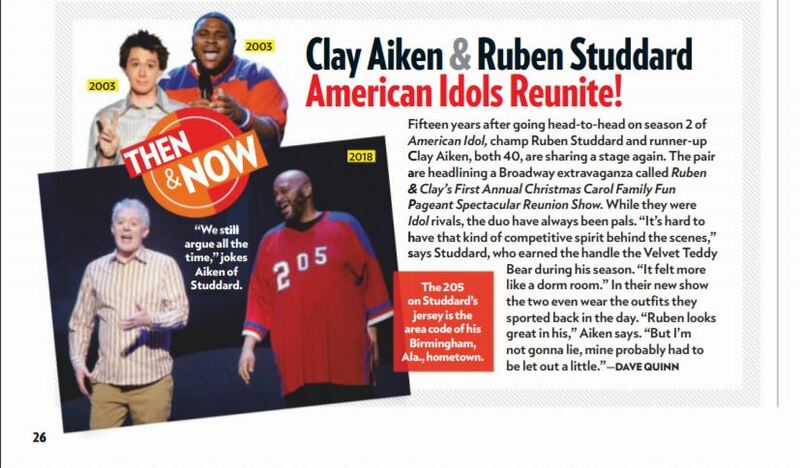 People Magazine – Clay and Ruben were apart of this week’s issue of the magazine! Have you seen the magazine yet? I bet the group introduced the show to many people! Thank you, Jessica121 for leading this wonderful, talented kids! The following tweet was posted on Saturday! All my teenage dreams come true. 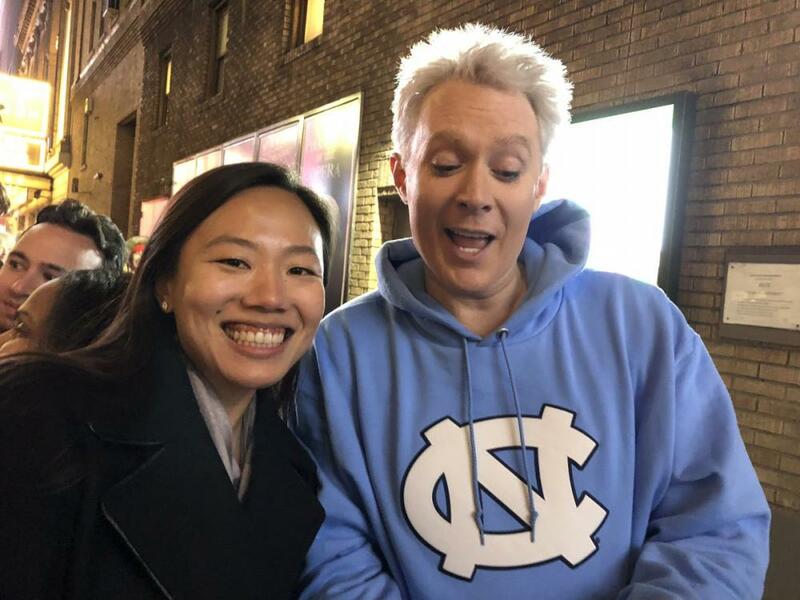 A great Christmas show by @clayaiken! I love this tweet – Can you believe it’s been 15 years!!! The following video from SueReu, is of Clay singing Christmas Waltz. This song was on Clay’s Christmas E.P. All Is Well. down! Thanks so much for all of the tweets and photos. Got the People Magazine and read the article about our two guys! So exciting! you, CANN for the video of Clay and his Mom dancing, so beautiful! Happy Christmas Eve Eve everyone! Oh No! I forgot to look for the magazine when I went shopping yesterday. I'll have to hunt one down tomorrow. Error: Error validating access token: Session has expired on Tuesday, 21-Aug-18 16:13:01 PDT. The current time is Thursday, 25-Apr-19 23:45:24 PDT.